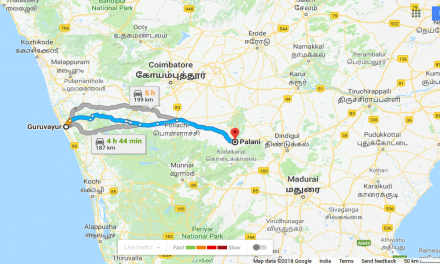 To Travel From Kochi To Guruvayoor follow The Directions Given Below. 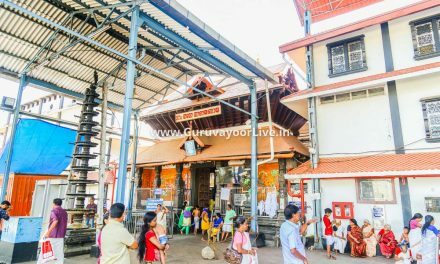 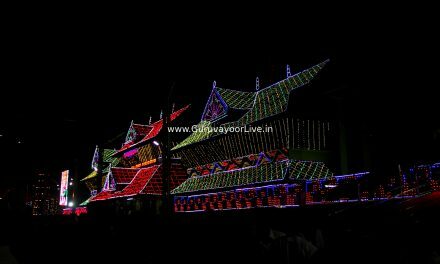 Kochi To Guruvayoor - follow the mentioned directions to reach Guruvayur rom Kochi. 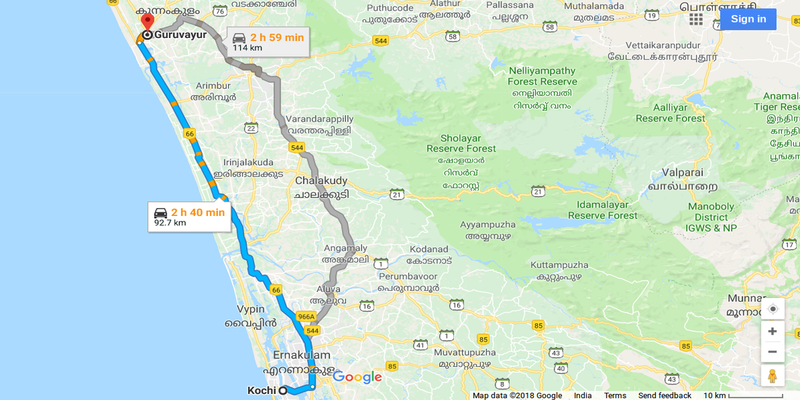 2 h 40 min (92.7 km), via NH 66, Fastest route, despite the usual traffic, Follow NH 66 to SH50 in Chavakkad, 2 h 31 min(89.2 km), Follow SH50 and Muthuvattoor – Guruvayur Rd to Iscon Rd in Guruvayur, 7 min (2.9 km).